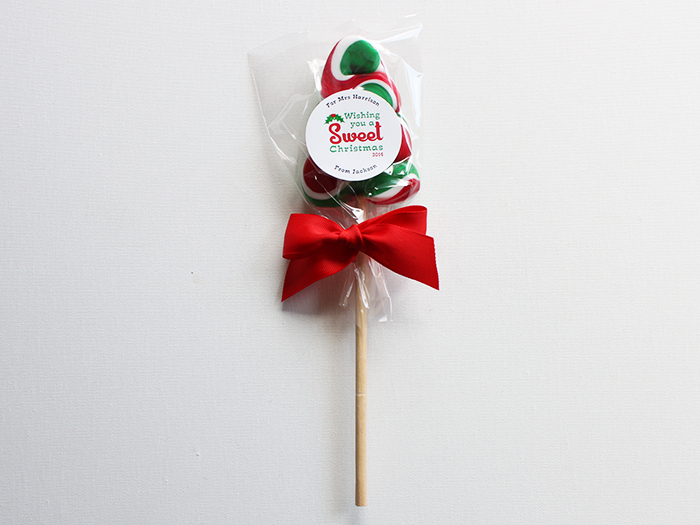 These stylish Christmas Tree Lollipops are a fun way to spread some Christmas cheer among family, friends, classmates, teachers, teammates etc. They would also make great additions to Christmas gifts, stockings, hampers and corporate gifts. 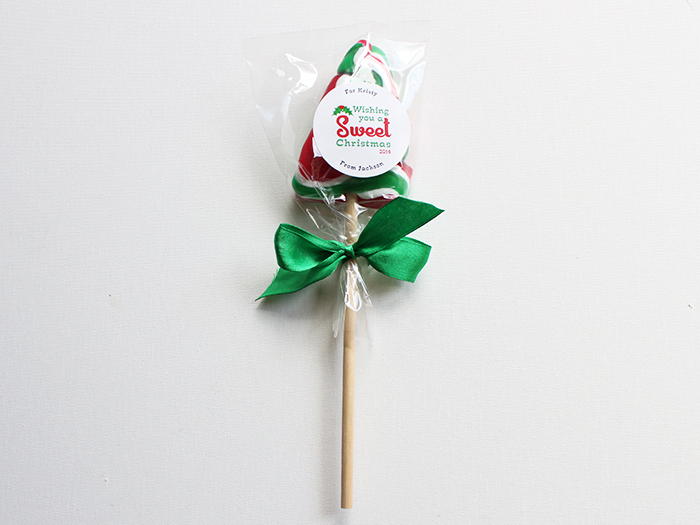 The Christmas Tree Lollipops are handcrafted in red, green & white swirled candy and are apple flavour – delicious! They are approx 6cm wide & 8cm tall, and come individually wrapped on 20cm wooden sticks. 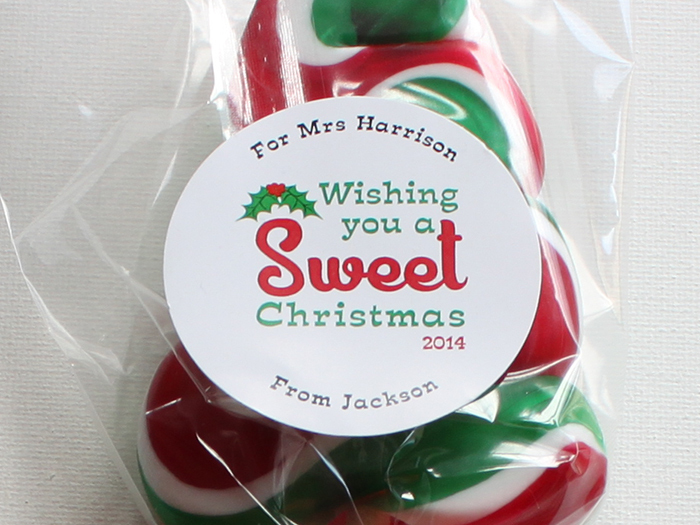 Each Christmas Tree Lollipop features a personalised sticker (as pictured) and finished with your choice of a red or green bow. Simply choose what ribbon colour you would like from the drop-down list, then enter the Gifter & Recipient names in the field above (eg: Dear Kristy, Love Sam) or leave blank if preferred, the quantity required and click the “Add to cart” button. If you require a colour other than what is offered, please contact me to discuss.